I use board games like this to practice sight words, math facts, sentence fluency, or any skill that needs practicing! The children just roll one die, but before they can move their place marker that many spaces, they have to perform a task. 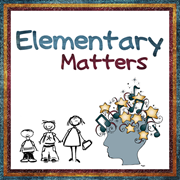 I sometimes have a selection of cards the children can choose from, and sometimes I have a specific skill for them to practice. 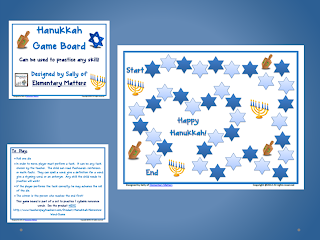 Come on over to Elementary Matters to download your Hanukkah Board Game Freebie!